יעד פחות מוכר לתייר הישראלי הממוצע. אזור בו בולטים צורות גיאולוגיות מעניינות, צבעים מרהיבים, תיירות אתנית והיסטוריה עשירה. היתרון שניתן למכור אותו בכל עונות השנה. 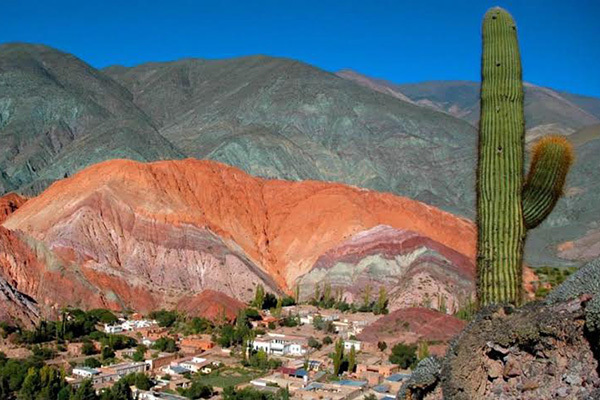 Argentina is one of the fewest countries which covers within its limits a variety of climates and natural resources. From the heat of the North to the frozen glaciers of the South in the Patagonia. A total distance of more than 3800km. Currency: Argentinean Peso. Major Credit Cards honored. Travelers cheques can be exchanged in banks and exchange houses. Shops, Restaurants and Commerce: Banks work from 10:00 to 15:00 Mon. to Fri. Shops and offices are normally open from 09:00 to 19:00 Mon. to Fri. Sat. from 09:00 to 13:00. Restaurants are open until very late and most Bars and Cafes are open 24 hours a day. Tips: It is customary a 10% of the amount paid in restaurants and taxis. panama is situated in the southern part of the American continent. Most of the population is of mestizo origins, descendants of Indian, African and Spanish heritages, although there is great ethnic diversity. Panama owns a cultural multiplicity that makes it unique in the region, one of the biggest contributors to this cultural richness is the constant presence of visitors from all parts of the world. The origin of this singular cultural mix is without a doubt the crossroads characteristic of the country. In addition, the intense connection of Panama with the sea makes it very similar to an island of the Caribbean. Banks work from 10:00 to 15:00 Monday to Friday. Shops and offices are normally open from 9:00 to 19:00 Monday to Friday. Saturday from 9:00 to 13:00.